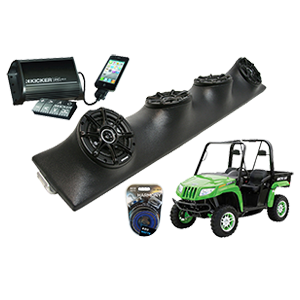 We now carry a wide selection of UTV Side by Side Speakers for just about every UTV model including Polaris, Kawasaki, Artic Cat, Yamaha and many many others! Our custom speakers pods are tough and durable which will easily last the longer than the life of your UTV. With these installed, you can enjoy listening to your tunes while on cruise.